Goodness is hardly a surprise, is it? If the number of models on the market is any indication, mid-size coupes from regular, non-luxury brands are a dying breed. There are still plenty of premium-brand luxury and performance coupes, but the market’s demand for practical utility vehicles has all but stomped out the demand for simple, unpretentious mid-size coupes. So it’s not surprising that Honda’s mainstay Accord has become even more mature, comfort-oriented, and upscale — if not in price, in the way it feels. This makes sense, as most of these coupe buyers won’t be younger, active people, rather older empty-nester types who aspire to a level of traditional comfort, luxury, and style while not needing four doors. In the flesh, the new Accord’s shape is a departure from the evolution we’ve seen in the past few generations. As a young-ish Honda-fan aptly opined in a parking lot, “Way conservative…a little weird…but I’m warming up to it already.” Behind the front cowl area, the coupe now looks very Germanic, with some design cues taking obvious bows to the Mercedes-Benz CLK. Gone is the chiseled NSX-inspired styling in back, replaced by a smooth, bulbous design that’s sleek but not overtly sporty like its predecessor. The snout is now low and rounded, with a higher beltline, and a long, continuous roof arc flowing down to an organic, crease-less back end that has the angled-inward taillights that are so common on luxury designs. But there are some practical advantages to the new shape. Aerodynamics are further improved with the new body style (which usually means a reduction in wind noise), and also the new roofline allows increased rear headroom. Inside, the changes are the most dramatic. While generational changes to the Accord’s interior have always been quite subtle and evolutionary, this Accord marks a new design philosophy altogether, to the liking of some and to the dismay of others. Gone is the typically Japanese sense of simplicity in neat rows of buttons in a dash that ‘stacks’ similar functions next to each other. This new interior is swoopy and heavily Euro-influenced, with a combination of dials and organically shaped buttons. Honda opted to consolidate the controls and displays for climate-control and audio functions together in the center area. The display portion of it works well, with a single, neat, high-contrast display screen high in the middle of the dash that tells you everything in one glance. The controls, however, are another matter. In our test car, an EX equipped with the standard dual-zone climate control, the three large dials very close in vicinity proved confusing at first. They’re all about the same size. The middle dial is for sound-system volume, while the left and right dials are for the corresponding zones of the climate control. After a week we were still getting them confused with a quick reach downward in traffic. The complete redesign of the dash and consolidation of some of the controls allows the space for a huge storage bin below the climate-control and audio controls. The bin can hold up to twelve CD cases, or a small purse, and it has a shiny latch-down cover for privacy. Quite simply, there are a lot of places to put things, and these are all practical, usable spaces. The cup holders are in the center console, and they can hold a large drink securely while the armrest is down. Plus the doors will hold a bottle, and there are plenty of other smaller spaces for toll change, PDAs, phones, and other ephemera. Hands down, Honda trumps the German brands and at least rivals the American brands here with plenty of cubbyholes, pockets, and indentations to stow things. The seats are touted as larger than the last-generation Accord. They’re proportioned nicely, but headroom is so limited for taller drivers that the seats force a sort of cramped, reclined driving position with arms extended out to the steering wheel. The rear seats offer two inches more headroom than last year and also improved knee space, but don’t expect adults to sit back there without discomfort. Also of note, the downwardly curving roofline makes entry and exit difficult, and while the driver-side seat returns back to the position it was in, the passenger-side seat does not. Most of the switchgear stays in its familiar Honda locations, but steering-wheel controls have been improved and are directly on the wheel spokes rather than in a separate control pod. The main gauge cluster is now backlit with LEDs, so when the ignition is turned off the area goes completely dark. While the new styling in and out can remain controversial, any way you look at it virtually all of the mechanical changes are for the better, and they put the Accord on a new level with respect to its competitors, if it wasn’t already besting them before. 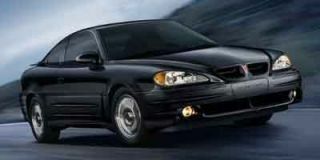 Honda’s all-aluminum 3.0-liter V-6 underwent some evolutionary changes with the 2003 model, which together yield more power, better fuel economy, and reduced emissions. Breathing improvements have been made on both the intake and exhaust sides, a new knock-sensor system enables the compressions ration to be raised to 10.0:1, and an electronic throttle is now used. Honda’s VTEC variable valve timing system has now been improved as a three-rocker, rather than a two-rocker system. Bypassing an in-depth technical explanation, the system will help smooth the engine’s transitions between power and economy modes. The robust V-6 makes 240 hp on regular gas and meets California’s ULEV standards (though only in California vehicles). The tune-up interval is now 110,000 miles. 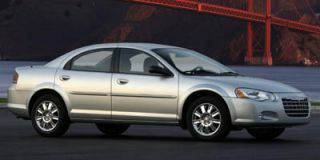 A five-speed automatic transmission was also new for 2003. It boasts improved performance and fuel economy figures, an updated Grade Logic algorithm to hold lower gears on grades, and improved shift quality due to integration with the electronic throttle and a new transmission fluid temperature sensor. The new electronic throttle feels nice and more linear than the jumpy-off-the-line linkage of past V-6 Accords. The V-6 is very responsive, with an overabundance of power for everyday driving, and the VTEC system’s “stages” change without fanfare. The five-speed automatic finds the right gear with ease, with snappy yet smooth shifts and no driveline jerks. Floor the gas at Interstate speeds and the transmission will make what’s perceived as one big hop down to third gear, rather than making two balky downshifts as some units do. The body of course boasts increased stiffness and rigidity, which usually translates to a better ride, improved handling, and better crash-resistance. A stiffer, more rigid structure also makes coarse, noisy road surfaces more difficult to isolate, but Honda engineers have done a good job keeping it quiet inside with the use of larger suspension bushings, along with a roster of other sound- and vibration-absorbing design tactics. The Accord keeps its familiar double-wishbone (multi-link) suspension, but its geometry in the front has been reworked for improved steering response. The variable-assist power steering has been recalibrated for more feedback while cornering and improved feel in cornering and at highway speeds. The result is an unexpected heaviness at parking-lot speeds, where more boost would be appreciated, but the feel is great under most conditions. Brakes have been beefed up with larger front discs, a larger brake booster, and redesigned pedal action. Overall, the pedal is now firmer and easier to modulate, and the brakes engage at a higher pedal height than before. Drivers who have appreciated the overtly lean, nimble nature of previous generations will be surprised that Honda has opted for an increased feel of solidity and heft. We suspect most drivers will be pleased, though, at the new feeling of solidity. Major bumps are soaked up without drama while the wheels remain firmly planted on the road. The cabin is also rattle-free and well isolated against the harsh surfaces used in my area that set the cabins of some firm-riding cars abuzz. But the perception of heft is just illusory. The new Accord’s curb weight is basically unchanged, and it’s just as capable as the last-generation coupe, perhaps more so. Like most newer cars, though (the exceptions we could count on our fingers), you’ll probably have to break speed limits to really enjoy the handling capabilities. You’ll probably find yourself going faster anyway. The new Accord Coupe is isolated from the road and elements so well, that there’s very difference in noise inside whether you’re going 60 mph or 90. The Accord brought only a few quibbles. The front end of the car is very difficult to place while parking, as it completely disappears with the curvature of the hood. We didn’t bump any cars, but in front the hood ornament and grill are perilously close to the bumper surface and the look easily damaged against a higher SUV bumper. Also, I know the location for the trunk and fuel door release, just in front of the driver’s seat, has been the same for Hondas and other Japanese cars for years, but I still manage to accidentally release the fuel door with the back of my left shoe at least once during a week with any of these vehicles. No big deal, just funny. And while the look and feel of some of the materials used inside is a big improvement, it’s not consistent enough to leave us wowed. For instance, the shift surround/bezel on the center console is made of rather cheap, soft plastic and was already heavily scratched in our test car, probably from coat buttons, sliding cellphones, and such. But assembly is still flawless and tight. There weren’t any loose trim pieces, squeaks, or rattles, and all the outside gaps are among the smallest. It’s worth noting that the Accord Coupe and Sedan sold in North America are exclusive to this market, while Mercedes-Benz and — to some extent — Volkswagen are still using a sort of one-size-fits all strategy for its cars. Let the attention to cup holder design be proof. The Accord Coupe is built in Marysville, Ohio, and our window sticker alerted us that it had 65 percent U.S. and Canadian parts content. The upscale EX model, which is what we tested, comes with a luxury-car level of equipment, including power everything, a CD changer, and heated seats, among many other conveniences. An MP3 player is now available as a dealer-installed option. All Accord Coupes come with front-seat side-impact airbags. 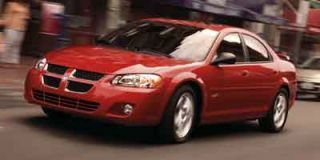 Side-curtain airbags come standard on the EX, but lesser LX models offer the curtain bags as an option. The side-curtain bags see expanded availability for 2004, but otherwise the Accord is carried over with few changes. Though at first I was dismayed the Coupe had lost some of its youthful feel, the new Coupe is taking a leap ahead to a different type of buyer. 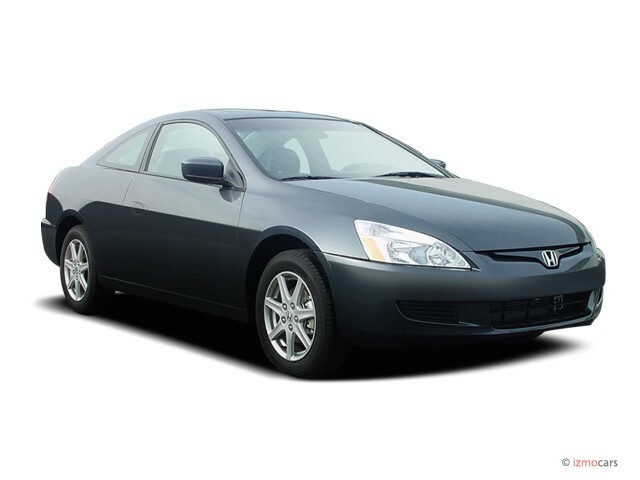 Compare the Accord Coupe with either the Mercedes-Benz CLK320 or even its relative, the Acura CL. Then look at the bottom line; the Accord Coupe feels special well beyond its price tag. 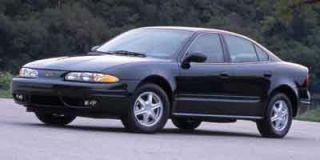 Directly, the Accord Coupe only goes head to head with the Toyota Camry Solara, the Chrysler Sebring, and maybe the outmoded Chevrolet Monte Carlo. Of these similarly priced vehicles, the Accord Coupe is the standout. 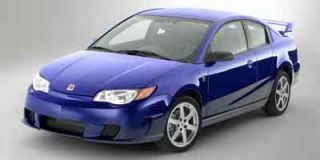 It offers a ride that rivals any of the competitors with performance and handling that bests all of them. The new Accord coupe offers Honda reliability, is solid and safe, comfortable for two, and is entertaining to drive. And being the coupe, it makes a certain statement that you’re willing to sacrifice some utility for some extra style. But does it give enough extra style and substance to make up for the sacrifice in space and convenience? It’s certainly worth taking a test drive, and then making up your mind.